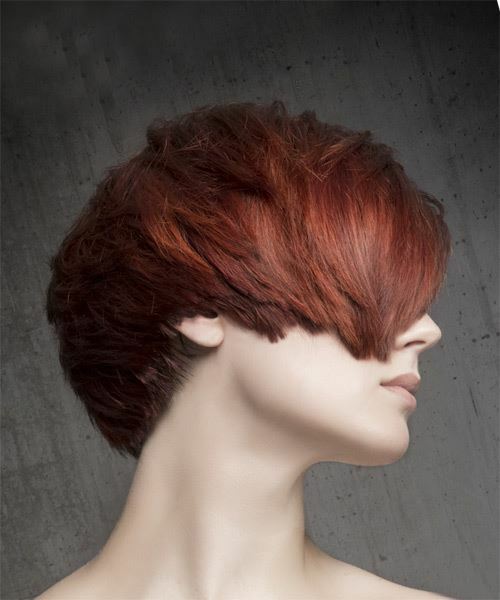 This windblown short 'do is blow-waved perfectly to lift up the top while styling it to the side for a fabulous finish. The long bangs are worn swept across the forehead to frame the eyes and complete the overall look brilliantly. This hairstyle is ideal for oval and diamond face shapes. Regular trims are needed to maintain this hairstyle, and color refreshes are needed to counteract fading. Use a small round brush and hair dryer to blow dry this 'do into place.